Many of you will be familiar with the story of Southwest Airlines, founded in 1967 and which is the largest low-cost operator in the the US. It has been the inspiration for many other low cost airlines around the world, and is regularly quoted as a key case study in new business thinking. Joseph Bragdon in his book Profit for Life: Case Studies in Living Asset Stewardship uses Southwest Airlines as one of his three main companies he analyses throughout his book, to further his thesis that companies with a stewardship philosophy and culture, ones which think and act like living communities and are “integral to the larger living systems in which they exist” show far greater returns on investment compared to the average in Standard and Poor’s 500 Index. As Bragdon notes, “conventionally trained managers and analysts do not have the vocabulary and mental models to identify the emerging phenomena”. This is significant, as here Bragdon is discussing the act of seeing. It is one thing for competitors to analyse a new business model such as that of Southwest Airlines, but can they really perceive the whole organisation? After the September 11th attacks in New York, Southwest Airlines reacted to the subsequent drop in passenger traffic in an extraordinary way. No services were cut and no lay-offs were made, and the company added $1.5 billion to the company profit sharing scheme as an act of confidence (source Bragdon, p52). The top three executives “quietly stopped receiving pay until the end of the year and employees volunteered to work extra hours.” Southwest Airlines have a cautious attitude to growth, meaning that it has the financial capacity to withstand financially difficult times, resulting in it being the most profitable airline in the US for the last decade. A key point that Bragdon takes from South West Airlines is the dimension of inspiration. This is not easily measured on a balance sheet but when people feel an emotional link to a company they are “naturally more coherent, enthusiastic, willing to learn, eager to serve and inspired to innovate.” When Gary Kelly, the founder of South West Airlines states that “Our people are our single greatest strength and most enduring longterm competitive advantage” it appears that in this example, the organisation really does mean it. In Brazil, one of the airlines to copy South West was Gol Linhas Aereas, founded in 2001 by Grupo Áurea, who are the largest bus transportation company in the country. 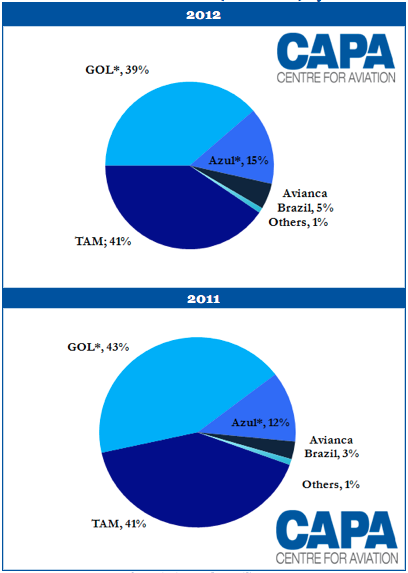 Both Gol and TAM, who between them dominate the airline business in Brazil, have been struggling after going through periods of rapid expansion with the increase in passenger numbers boosted by growing incomes in the lower classes. Last month Gol announced it was cutting flights in order to boost profitability. It seems that the expansion was too fast, with many flights flying with empty seats. In addition to these actions, Gol have also begun to cut snacks for passengers, even on long distance international flights, a fact that a very dissatisfied friend of mine can confirm. In October 2012 Gol received regulatory approval to acquire one of its competitors, Webjet, an action which would result in a one off cost of $70 million in Q4 2012 to shut down the company. A large portion of this cost would also include laying off between 850 to 1000 Webjet employees including pilots, air stewards and ground staff (newspaper reports differ in the total number). Gol did not reach agreement with unions and so went ahead with the layoffs anyway. Gol appears to have gone about these layoffs in a strange way. Newspapers have reported that “A Rio de Janeiro judge, however, ruled in December that Gol must retain the employees or be fined BRL20,000 ($10,000) for each employee it didn’t rehire, as well as possibly paying up to BRL5 million for damages.” All these employees sued for “moral collective damage” and not only did they win, but the judge ordered their re-integration back in to Gol. 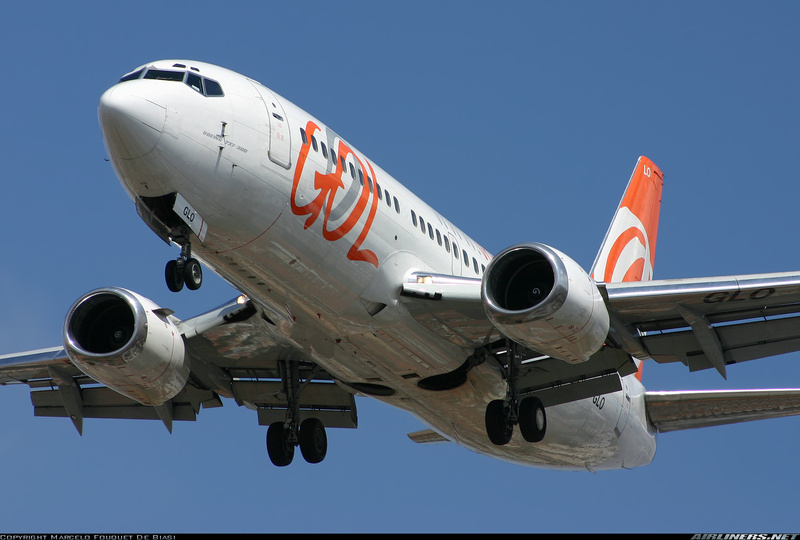 Gol have attempted to copy Southwest Airlines, but it has not managed to replicate its financial success. Indeed, unlike the motivated employees who are famous for going way beyond the extra mile to help customers whatever the situation, Gol now has to integrate 1,000 extremely upset employees back into the company and who it plans to make redundant anyway in the near future. It is suffering with huge debts despite operating in an expanding market, and so we have to ask ourselves did the team who create Gol really understand the nature of South West Airlines, or did were they only able to perceive the costs structure (low prices, high volume) and a limited view at that. What exactly was the mental model of Grupo Áurea when they analysed South West Airlines and which elements of this company did they perceive and what did they miss? We can see in the figures above the main changes in market share in Brazil. The big winner has been Azul, with Gol losing the most ground. Azul was founded in 2008 by American David Neeleman, and there is an excellent case study Tudo Azul about the company written by Paul Barry which you can download and read if interested in the fine detail of the company’s history, philosophy and strategy. It is also a fascinating insight into the challenges of integrating a US with a Brazilian culture successfully. Azul is an interesting case study especially as it is very much about overcoming the insane complexities of the Brazilian political, legislative environment, one that has a level of bureaucracy that can seem quite mind blowing to those not accustomed to it. 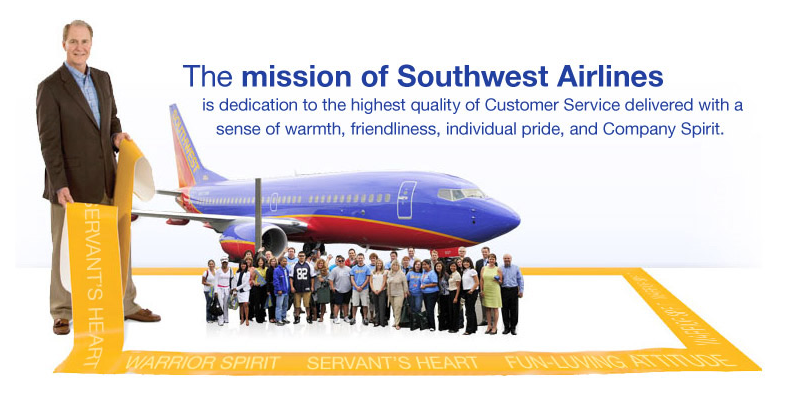 Like Southwest Airlines, Neeleman focussed on developing exceptional customer service. In order to achieve this he would need to develop a very coherent sense of teamwork, and one decision was made to refer to all employees as crewmembers independent of their function. Complementing this was an equally focussed initiative to really listen to customers closely. If we look at Gol’s current obsession with cost cutting, it is interesting to note how Azul gives its crewmembers an additional three days of holiday around their birthdays, one day before, the birthday itself, and the day after. This has helped developed a great loyalty of staff to the company, making them happier people which is reflected in the way in which they interact with passengers. The reason I have been discussing Gol and Azul is to allow me to really talk about authentic wholeness and what it really means. When we think in terms of counterfeit wholes, we attempt to comprehend a system from the outside. We treat all the parts as discrete objects, and we treat the whole system as somehow a super part, something that we can comprehend through diagrams and flow charts, and that we can predict and control. Authentic wholeness is when we come to understand the whole as coming to presence in the parts, through the parts, such as each part is able to reflect the whole. This approach to understanding thew whole organisation can be seen in both Southwest Airlines and Azul. Passengers encounter the airline through the staff, and therefore this creates an emotional bond with the organisation just as the staff themselves have an emotional bond. Gol on the other hand appear only to have been able to comprehend the organisation in monetary terms, and are now feeling the effects of treating people as human resources, and not as human beings. This may seem like a simple point, but it is often ego that can prevent top teams in business from thinking in this way. I myself practiced this holographic way of thinking where our head office was in Leeds, but our customer services team were in Sheffield. I had a good rapport with the technical team who were based on the floor below mine, but there were a number of communication issues with customer services when I first joined the company. In time I made the decision to hot desk at customer services one day every two weeks and this proved to be a huge lesson for me. I was there to help answer questions the team had which they did not know how to answer, and I saw at first hand what the issues were that they were having, leading me to develop much better training materials for them. But also a sense of team work developed. They could phone me at any time even at night, and their morale went up due to really feeling appreciated and a part of the team. Sometimes I do wonder if senior managers have too much ego to be able to do this, seeing themselves as above those working in the departments below them? Not to long after we were seeing big improvements in our team working, our operations team of ten were moved to Gibraltar. I could no longer be at customer services every two weeks, but the sense of team continued and I made the effort to make as many appearances at the customer services office as I could. I think our problems could have been much worse had both I and the customer services team not worked hard in the months before to resolve the issues. 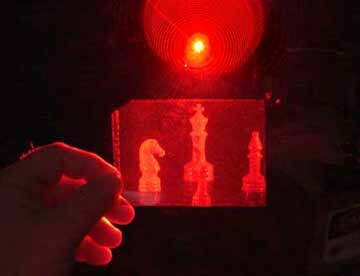 In the early 1970s, philosopher Henri Bortoft introduced the notion of holographic thinking to systems thinking to demonstrate how much of systems thinking was counterfeit. This is very deep philosophy, but I am sure that neither Gary Kelly nor David Neeleman have studied him. What they have is a very refined level of consciousness that allows them to conceive and perceive the organisation in a radically different manner to those whose mental models are far more constrained. There is something that makes us feel that it should be so simple to really perceive the whole of South West Airlines, but the reality shows us that this is not the case, so perhaps we have really stumbled on something fundamental about the way of thinking and seeing that organisations really should start to pay attention to. I believe, from my experience, it’s a shift in consciousness that needs to come to people before they see the connection. A change in their mindsets. A whole new perspective. In many businesses, senior managers grapple with effectiveness and train their gaze on the bits of the business that are dysfunctional, rather than see the whole……rather than see that the health of the parts is directly related to the health of the whole…..rather than see that the health of the whole is directly related to the healthy relatedness between the parts. The image of the hologram is extremely powerful, and one that can lead us into this dynamic way of thinking. I continue with my own studies to understand the general movement in thinking which can be applied not only to organic living systems, but also to the way in which we can understand the meaning of a text, or gain an experience of meaning through art. This is what a number of my recent articles have been about, and I have been wondering if they have seemed a little obscure. If the philosophy is obscure, the implications behind the philosophy are huge, and fundamentally change the way we think about people, organisations and our place in nature.